Summer has sadly come to an end, and the chilly Maryland weather is setting in (sometimes). The good news is, Baltimore still has events going on in the community. Today I wanted to give a shout out to our neighbors over in Little Italy. For our Bed & Breakfast guests reading this post, I highly suggest walking a few blocks over to Little Italy and supporting our neighbors and local community! 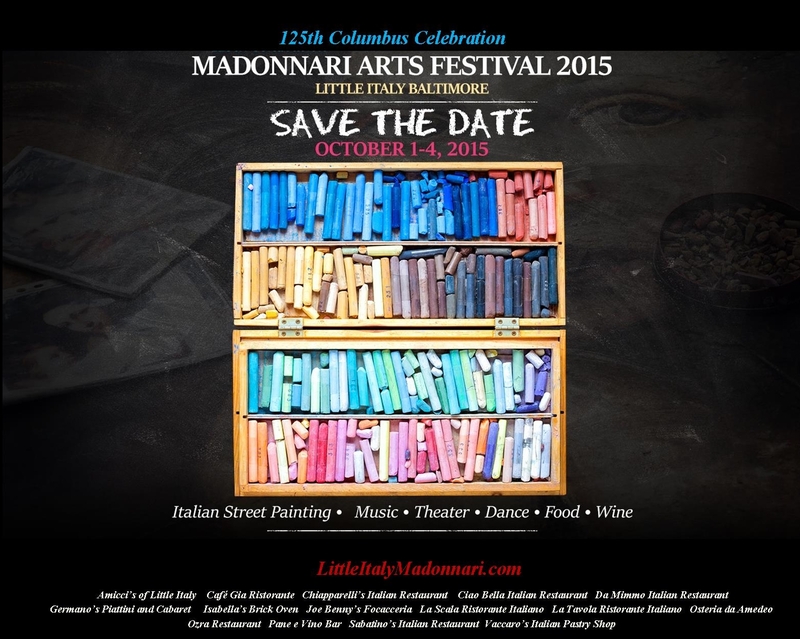 One event I read about the other day is the 125th Columbus Celebration Madonnari Arts Festival happening October 1-4. I am a huge fan of art, especially street art, so this was right up my alley. Street painting, music, theater, dance, food, and wine…what’s not to love? I think it’s time to embrace our Italian culture in historical Baltimore and attend this festival! For more details, ticket information, and the schedule of events, visit http://littleitalymadonnari.com/schedule-of-events/. See you at the festival!